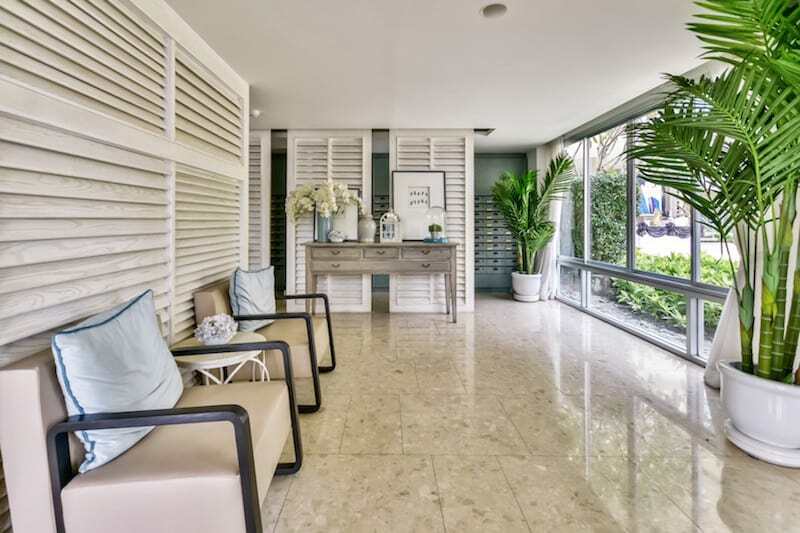 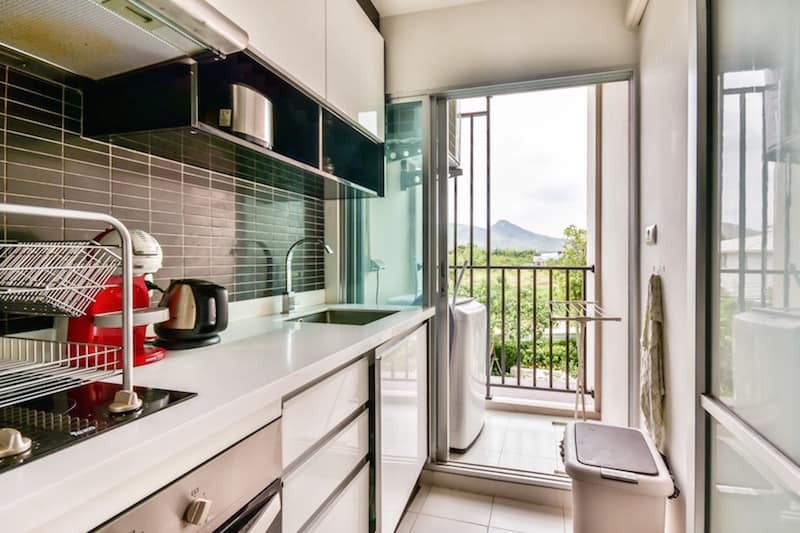 This studio condo unit has been well furnished and includes many upgrades beyond the standard build, such as an upgraded kitchen with oven and built-in wardrobe. 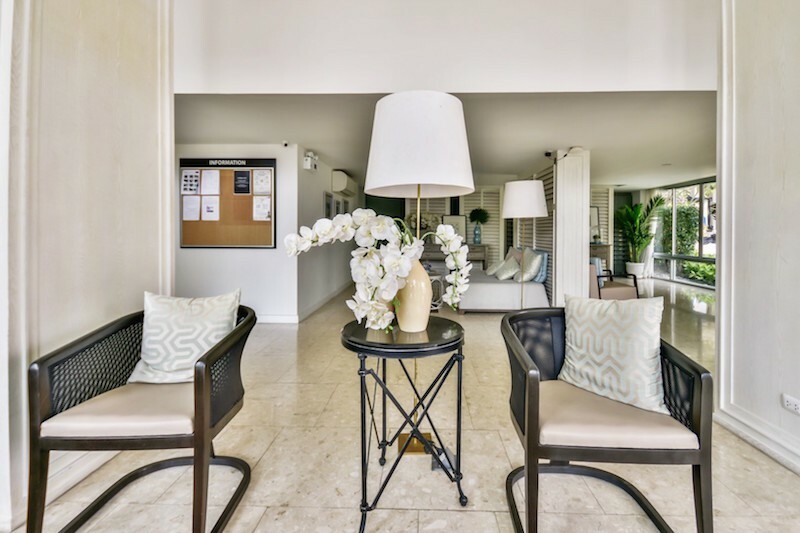 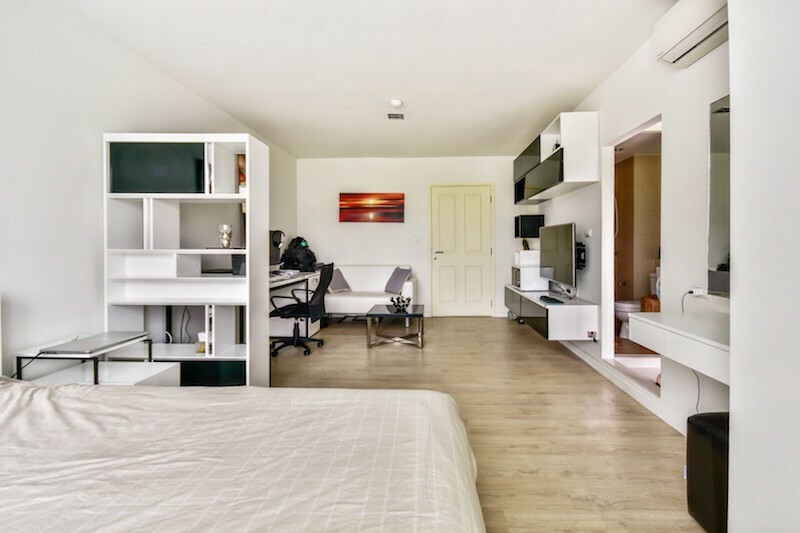 The unit includes great swimming pool and mountain views, a spacious open floor plan with ample room for a large bed, wardrobe, living area and small office. 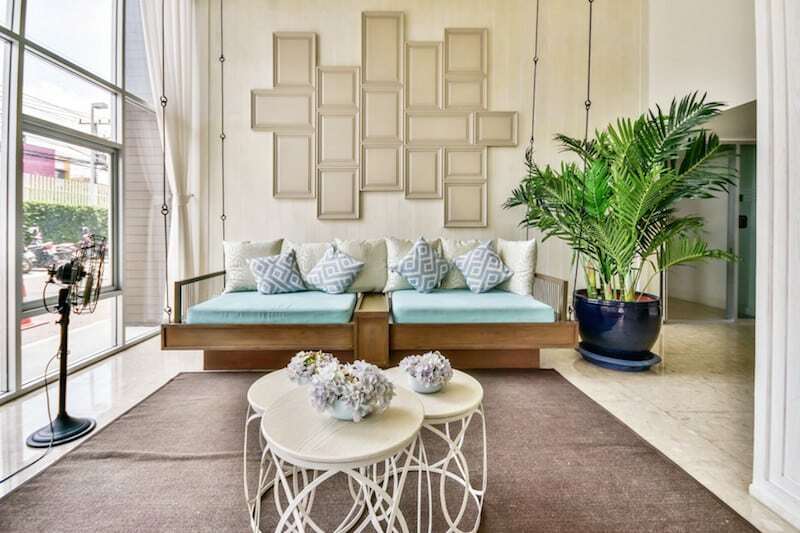 There is a continual breeze, thanks to the proximity to the beach, so air conditioning is not usually necessary during the day. 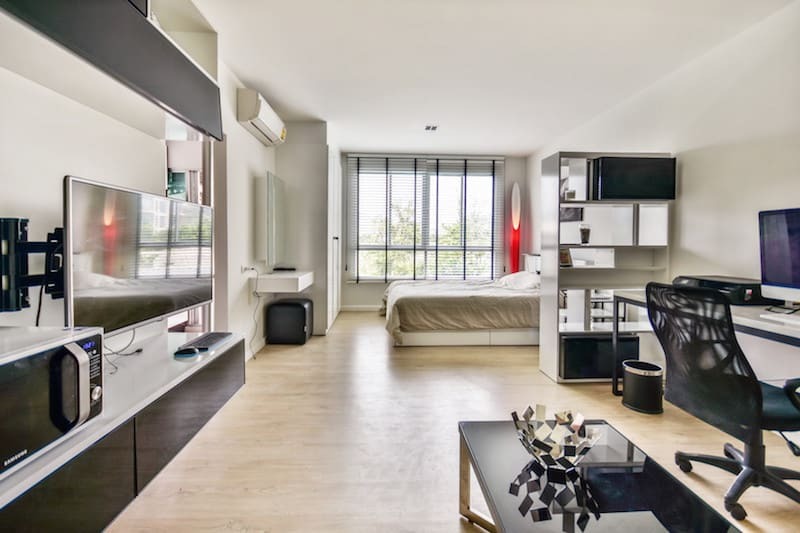 However, for the rare moments when there isn’t a breeze, there is a large AC unit that is sufficient to cool the entire unit. 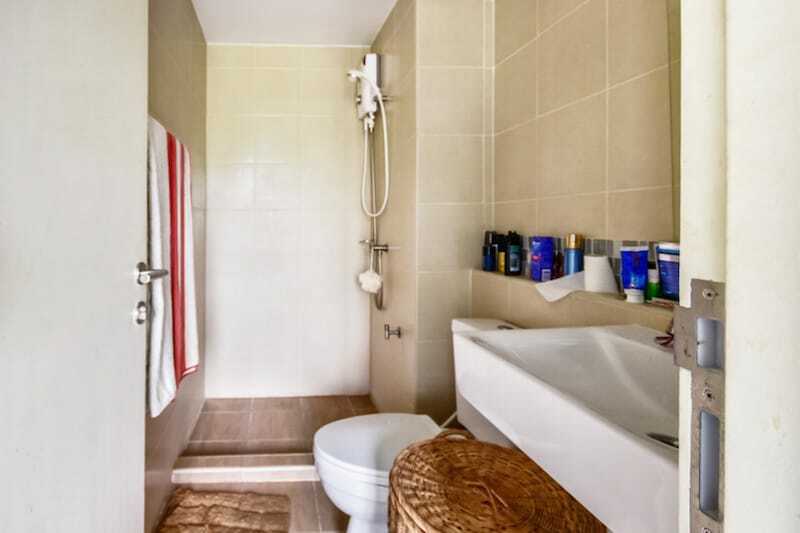 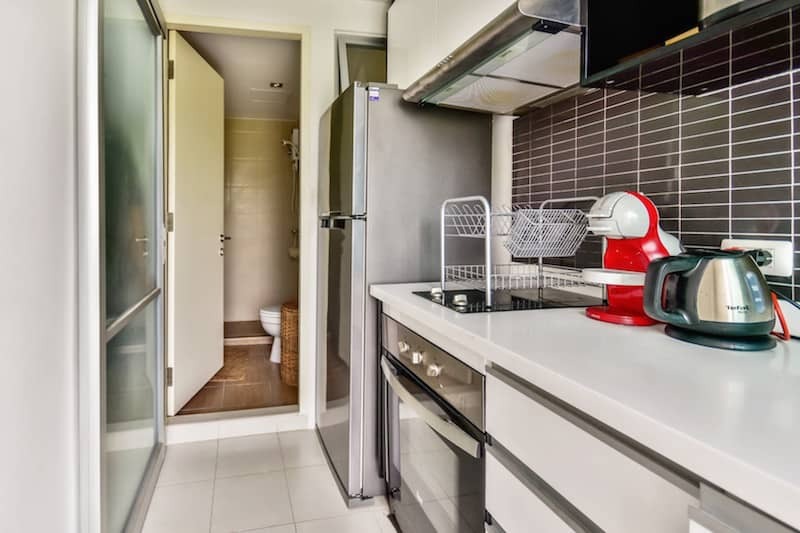 There is a separate kitchen with full cooking facilities, as well as a bathroom with shower. 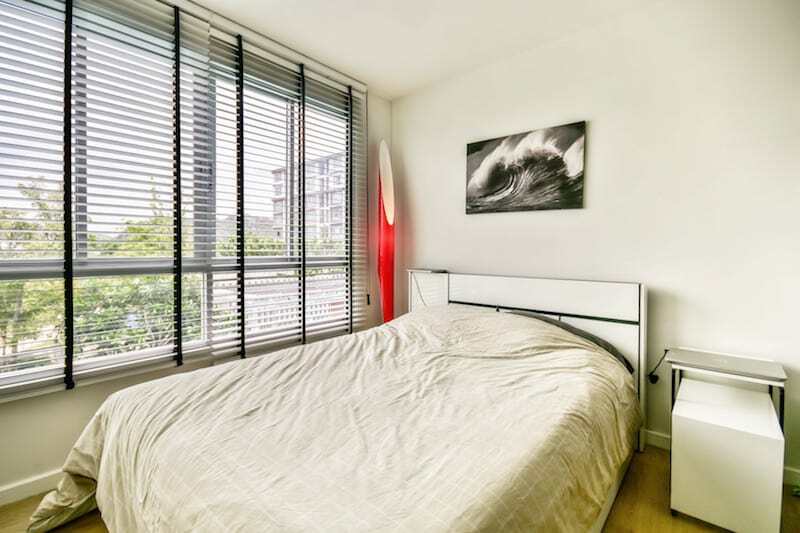 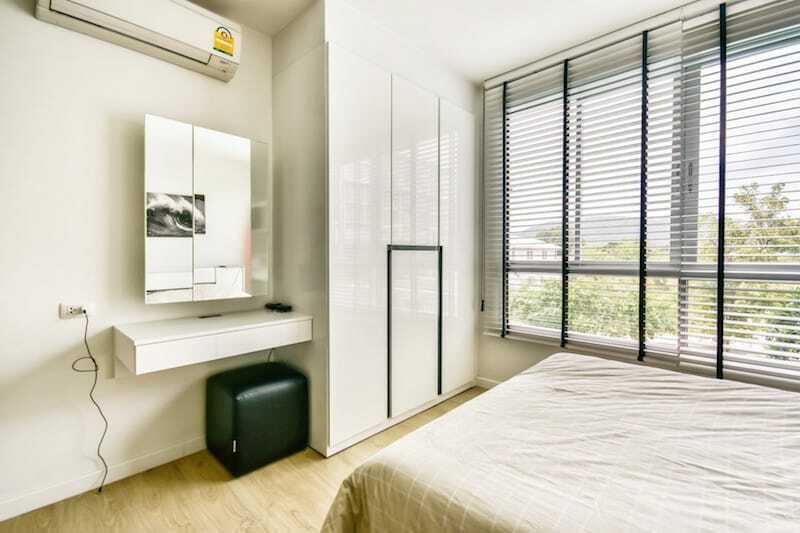 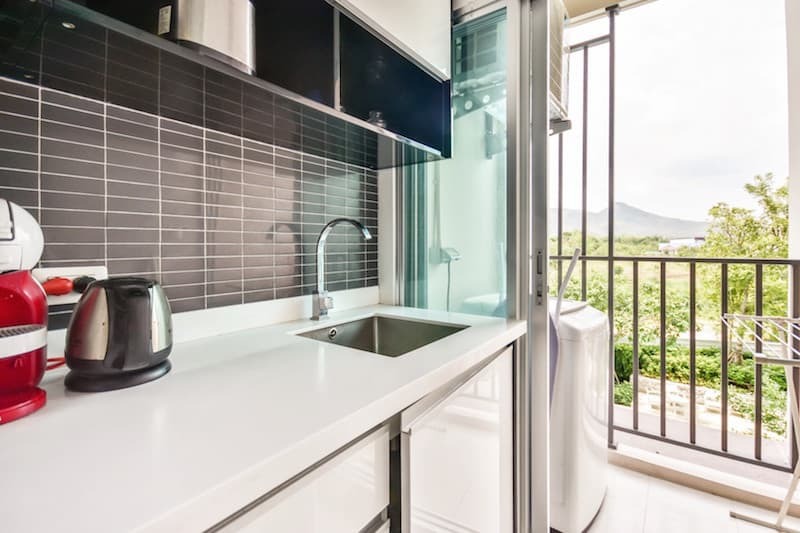 The balcony has a full-size washing machine, so you can feel comfortable staying at the unit for short or long periods. 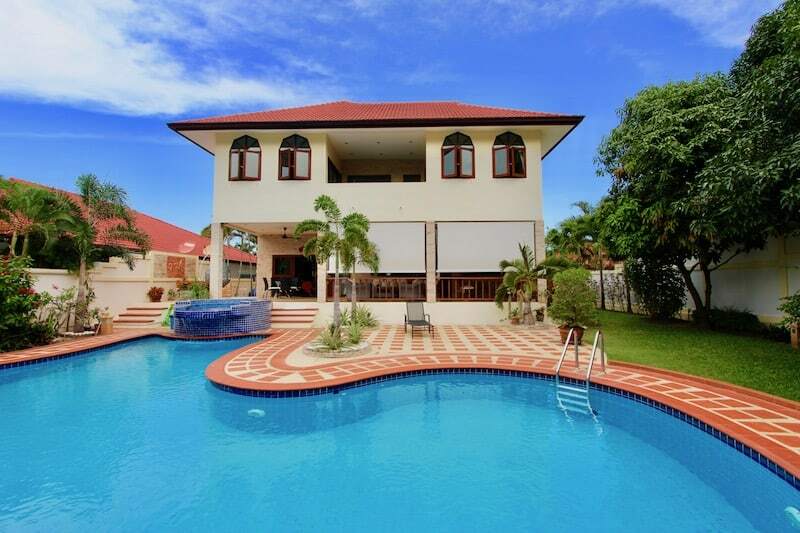 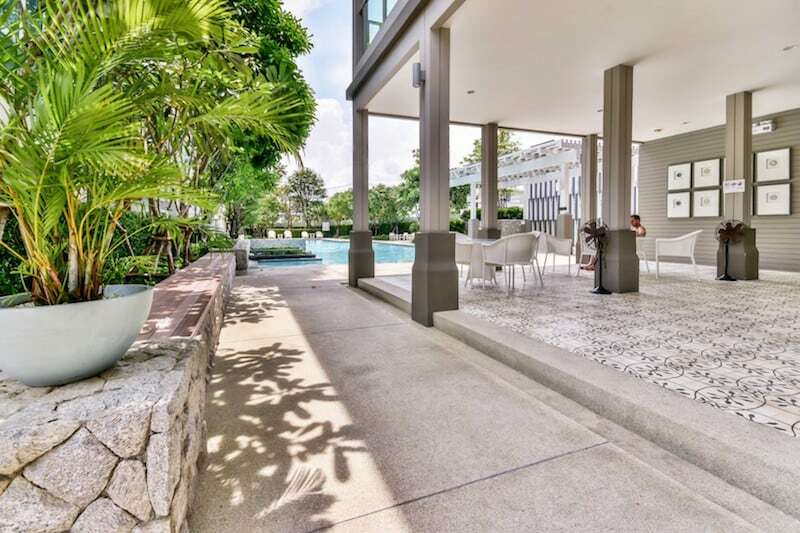 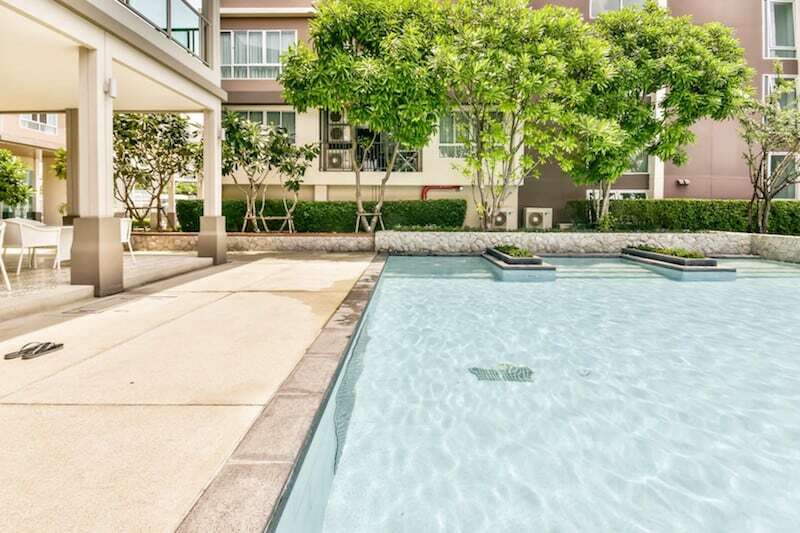 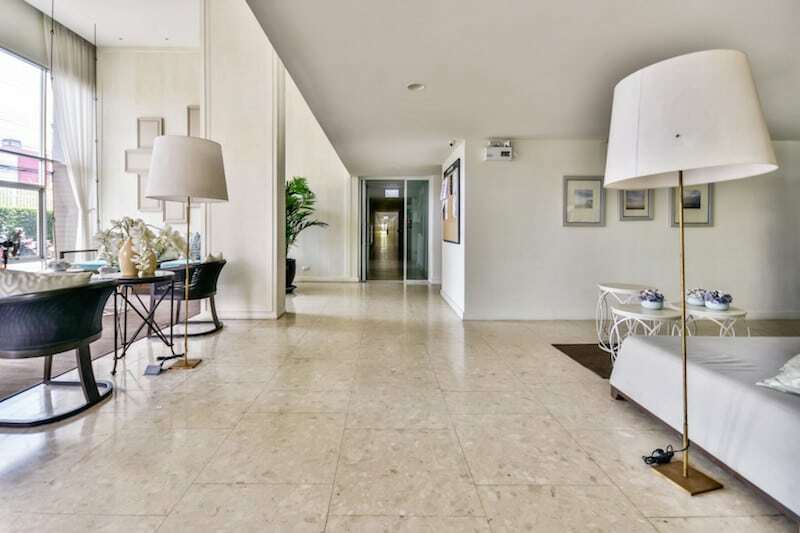 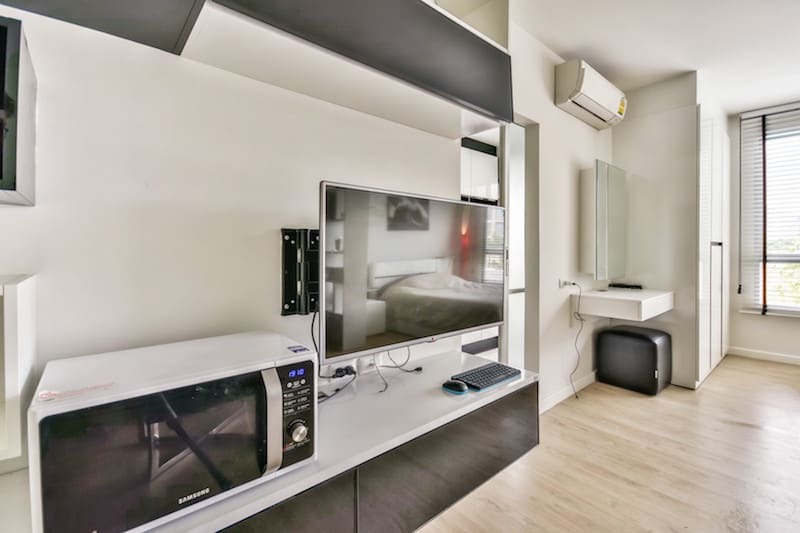 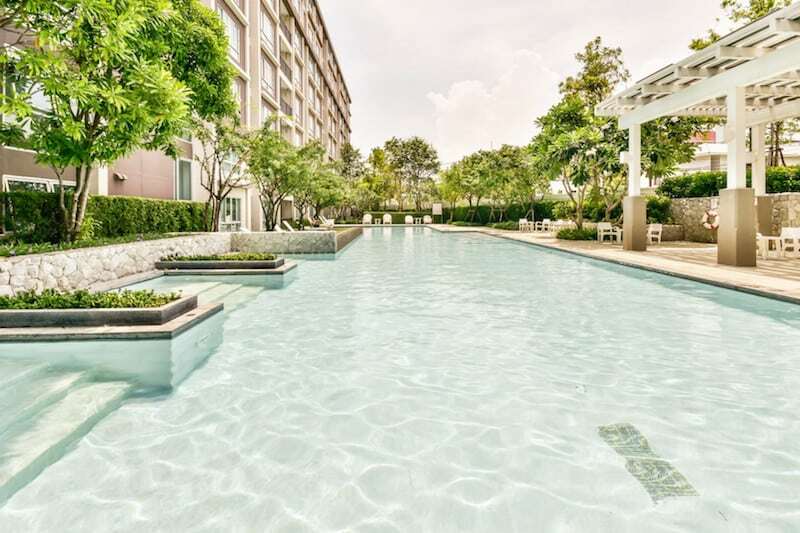 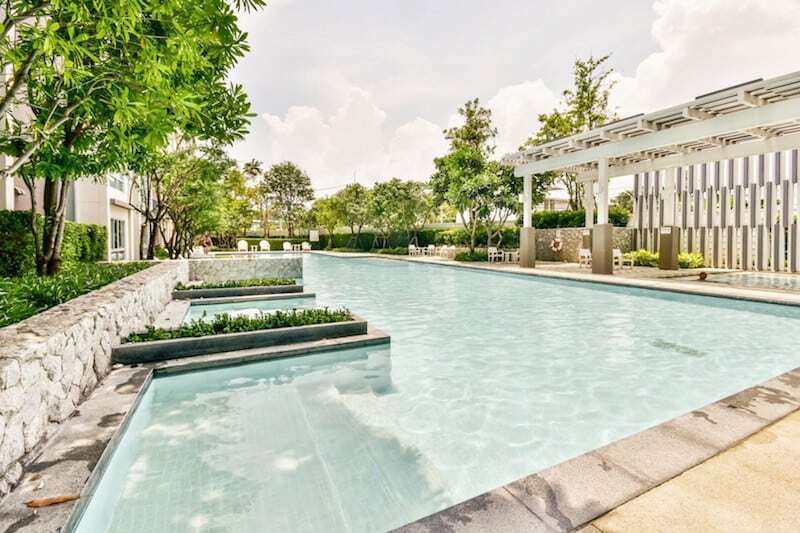 This is an ideal unit for someone who wants to own a property in the popular resort town of Hua Hin at an incredibly affordable price, but also wants the freedom to not have to maintain a property. 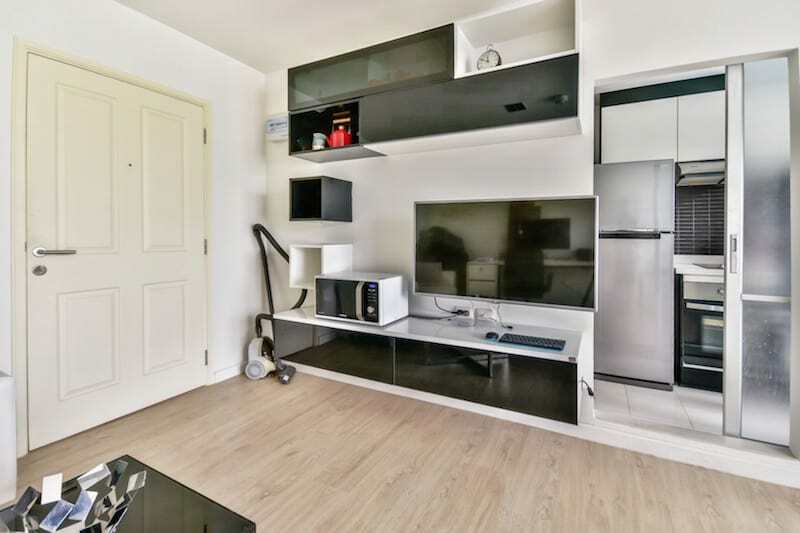 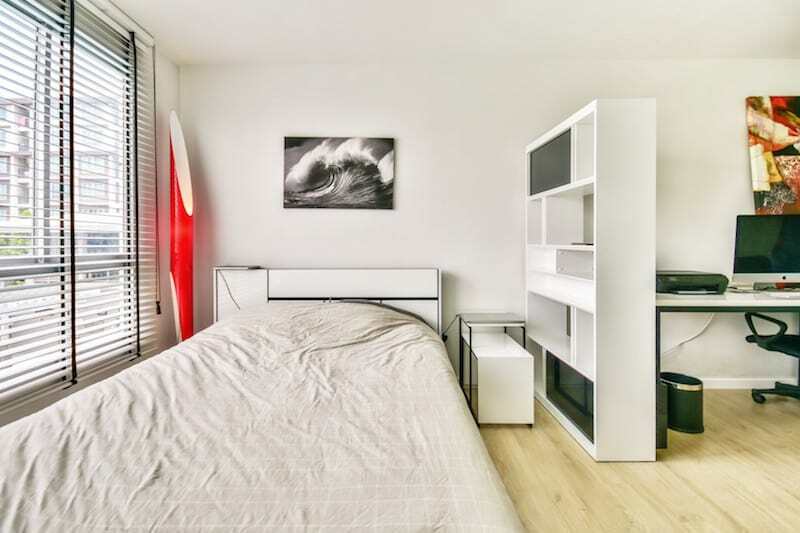 This is an extremely low-maintenance, easy property to own, and these units rent well on the weekends and holidays. 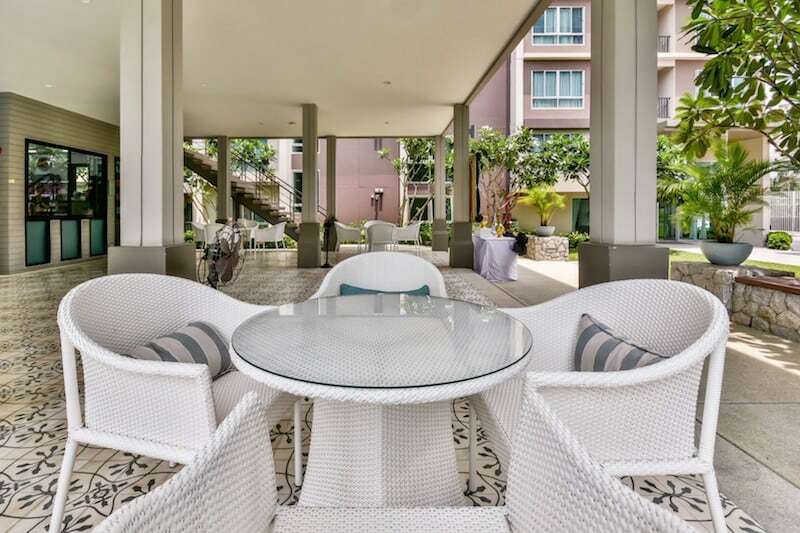 The communal areas within the condominium development are beautiful and include gorgeously furnished reception and lounges in both towers; a large communal swimming pool with very nice, covered seating area; a well-equipped fitness center with high quality machines; and ample parking and good security. 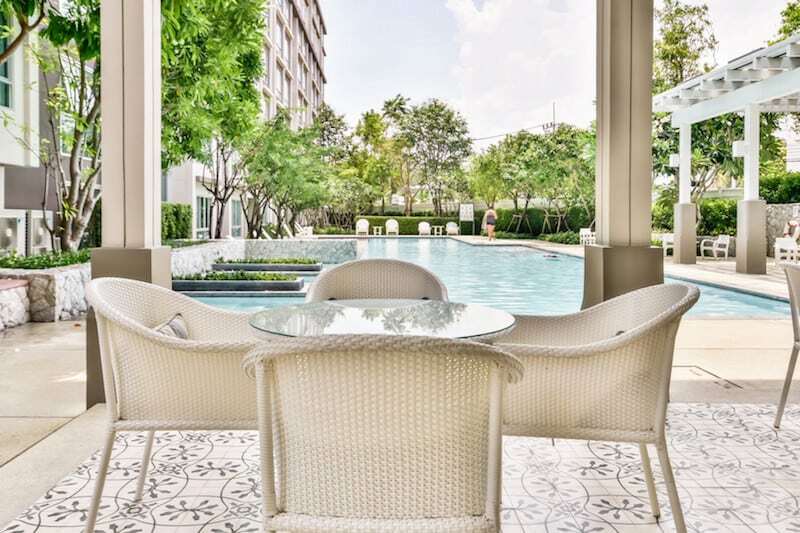 The Sansiri company has a fantastic reputation throughout Thailand as one of the best condominium developers in the country, and this is your opportunity to own a great unit here.